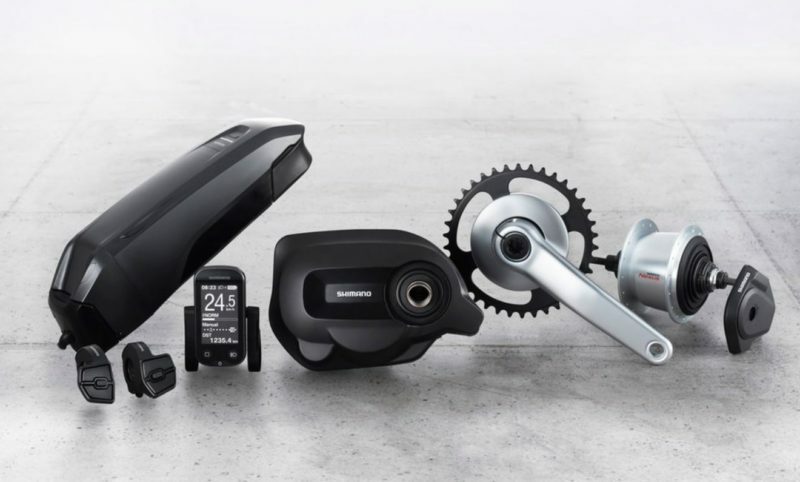 Available on the market from Autumn 2018, Shimano has released the specs of its next generation STEPS E6100 series, detailing updated connectivity, a dedicated internal hub gear and improved drive unit efficiency. Manufacturers will spec either a new 418Wh or the current 504Wh (watt-hour) battery, while the redesigned mid-motor STEPS E6100 drive unit (DU-E6100) not only weighs just 2.8kg (saving 210g in weight from the previous E-6000 version) but also pumps out up to 500-watts of peak power (nominal power output: 250W) to take the rider up to 25 km/h, all in dynamic response to how much support is needed. The Drive Unit design and shape echoes the compact and lightweigh STEPS MTB (E8000) Drive Unit with the same bolt mounting position for increased rigidity and better power transfer, and the same compact Q-factor for more efficient power transfer, precise handling and a better ergonomic fit with the rider. A 20% increase in battery range and riding distance is the net result of the upgrades. Two versions of the Drive Unit are available; one in a Trekking style and the other in City style with a fully-enclosed chain guard. Both come with a range of crank options including 170mm crank arms for extra ground clearance and a choice of either 38T or 44T chainrings, offering compatibility with Gates belt drives. Other drivetrain options include the choice of internal hub gears, or an external derailleur and cassette, both with the choice of Di2 electronic shifting or mechanical shifting components. Riders have the choice of four different types of display options. 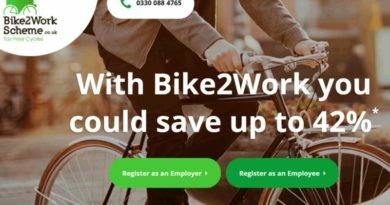 Bike designers will be able to choose from the standard Shimano display unit, a third party cycling computer, the rider’s smart phone in conjunction with a new E-TUBE RIDE app and the new EW-EN100 junction. Alternatoively, there is the option to just use the EW-EN100 junction alone for a minimal display. With a smart phone and easy-to-use E-TUBE RIDE app the rider can still view and customise the display of all the important riding metrics like speed, cadence, remaining battery capacity, support mode, gear choice and more. As well as this, all system messages can be displayed on third party display units and, for smart phone users, system warnings are linked to a web address for on-the-go additional explanations. 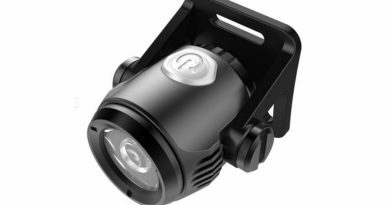 The rider can still access crucial information like battery level and support mode through just the new EW-EN100 junction with its LED display, should they prefer this option. The Drive Unit has three main support modes designed to offer different levels of assistance to suit different riding conditions. 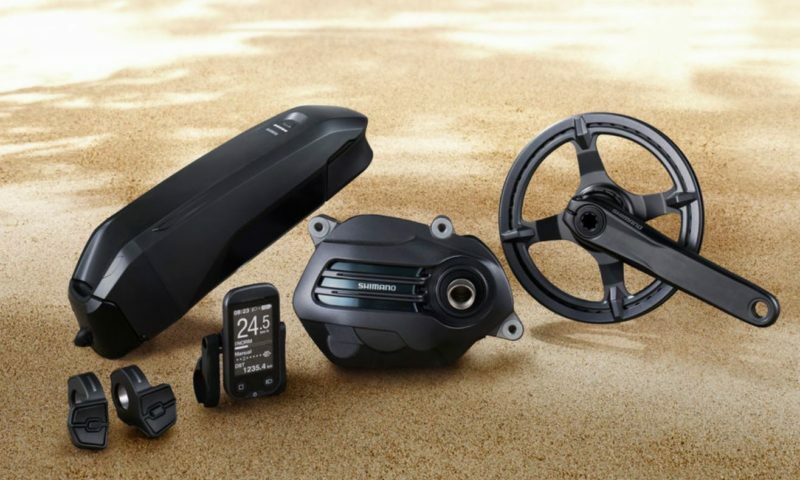 Choose Eco mode for the lightest assistance and low battery consumption riding, choose Normal mode for the best balance between responsive support and battery consumption, or choose High mode for powerful support, fast acceleration and rapid responsive support up to the maximum 25 km/h assistance level. The characteristics of these modes can also be adjusted using Shimano’s E-TUBE software to give the rider either a comfortable and natural level of responsive support, or a sportier version giving more dynamic support and higher torque. Both these settings though have an intuitive and powerful response via a torque sensor to judge pedaling input. This makes the STEPS system feel more like you’re pedaling a smooth, comfortable, dynamic and powerful feeling bike. 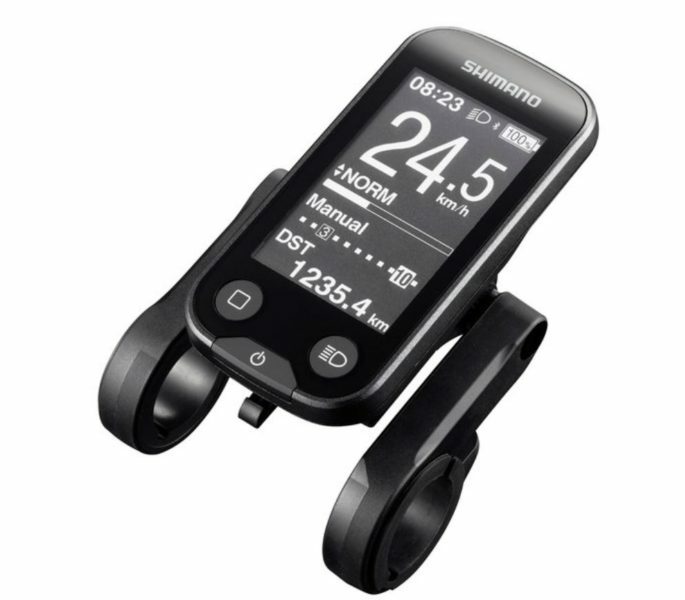 Even if the battery and support are turned off, thanks to Shimano’s low drag crank technology, the pedaling action is still smooth and comfortable with no added resistance from the inactive drive unit. STEPS was previously available with Alfine Inter-11/8 speed or Nexus Inter-8/7 speed internal hub gears, or an external derailleur and cassette, but now Shimano is also introducing a new Nexus Inter-5E Internal Hub Gear dedicated for e-bikes. The Nexus Inter-5E with its 60Nm capacity is dedicated towards handling the high combined torque of the rider and the e-bike system, giving better shifting performance for e-bike riders. It is made from a sealed system of gears hidden inside the hub for easy and clean riding, giving riders an e-bike specific gear ratio of 263% between the lowest and highest gears. 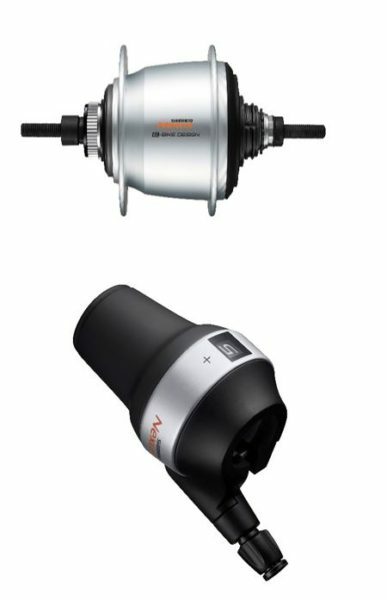 Like other Alfine and Nexus models, Nexus Inter-5E riders can choose whether they want an electronic gear or manual gear set-up. As well as the more obvious benefits of Di2 electronic hub gear shifting (such as less maintenance, less shifting effort, and smoother shifting with motor torque adjustments during shifts), the added benefit with the internal hub gear is that it allows for fully automated shifting, so the system automatically shifts gear upwards when your pace and power pick up, and shifts down again when you need it, such as when you come to a stop at traffic lights, giving you an easy gear to gear started again. 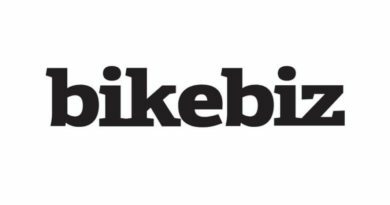 For riders preferring external gears, the option of a derailleur and cassette is still available, with either electronic 11-speed shifting with a Di2-compatible rear derailleur, or mechanical 9, 10 or 11-speed shifting with a compatible mechanical rear derailleur. Brake options with the NEXUS Inter-5E IHG include Disc brake, Roller brake, Coaster brake or V-Brake models.